The Metro Nashville Airport Authority (MNAA) recognized the need to update the existing terminal at the Nashville International Airport in order to better serve the air traveling public. 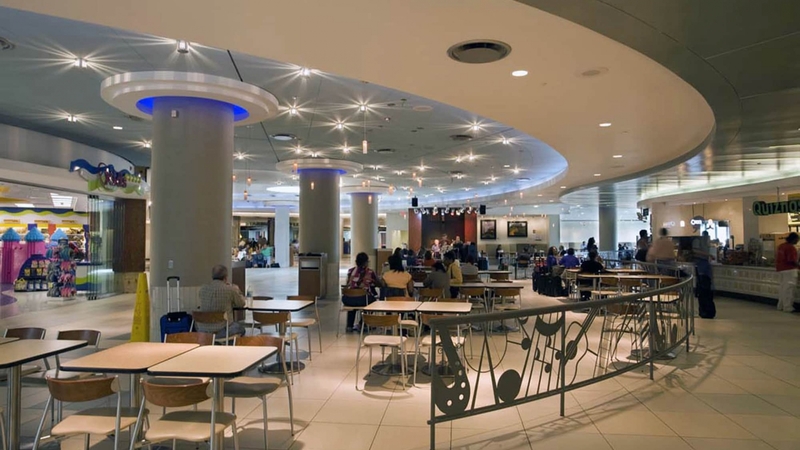 The renovations provided new opportunities for travelers to dine, shop and relax in a spacious airy environment while conformably accommodating new security requirements. The renovation includes a spacious waiting area with armchairs and a coffee bar immediately outside the security checkpoint so friends and family can comfortably await arriving passengers. Passenger flow was improved by consolidating security checkpoints , making way-finding easier and security circulation faster. The consolidation space opens to natural light through windows facing the downtown skyline. New retail and restaurant space gives passengers plenty of options for shopping and dining. Details such as floor and railing patterns give the concourse local Tennessee character. Durable attractive materials, such as patterned terrazzo floors, limestone walls, and granite countertops on gate podiums and in the terminal restrooms create an upscale character in the concourses. Natural elements such as a water walls at the entrances to the new security checkpoint are included in order to help calm travelers. Display cases and art walls showcase the works of local artist. Stages in various locations are incorporated into the design for live music performances that welcome travelers to Music City. TMP worked collaboratively with Architectural Alliance in a joint venture on the project.